Such a great composition and wonderful textures to all of the elements included in the shot. Nicely done! 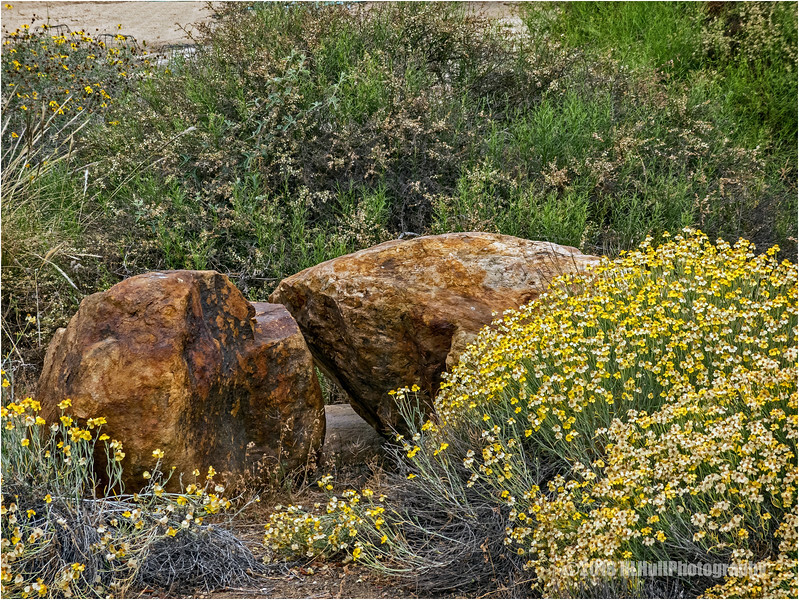 The reddish color in the rocks are a nice contrast against the yellow and white flowers. Bright and cheerful yellow wildflowers against humongous boulders! Such a glorious landscape with those fabulous wildflowers against the huge boulders!